This is a startling statistic. It would be as though half of Flemish Belgians wanted to expel the Walloons or French-speakers from the south of the country. There isn’t any member of the European Union where a large plurality of the population wants to ethnically cleanse a fifth of their co-citizens. On this account alone, you can’t really consider Israel to have democratic values. 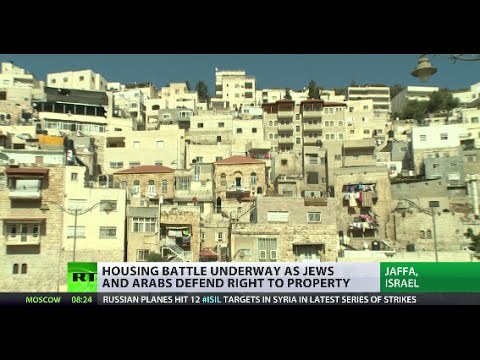 Along the same lines, 42% of Israeli Jews say that squatter settlements on Palestinian land in the Palestinian West Bank benefit Israeli security. Then, a quarter of Israeli Jews say that where there is a conflict between democratic values and Jewish religious law (Halakhah), religious law should take precedence. The people who hold this fundamentalist view are predominately Haredim (ultra-orthodox) and Dati (Orthodox). Israel is rapidly changing. The old secular Ashkenazi elite that had operated within the Labor Party and the Histadrut workers union is becoming less influential and a smaller percentage of the Jewish population. The Haredi or Ultra-Orthodox have risen from 2% to 8% of the population. Some 89% of the Ultra-Orthodox say that where democratic practices clash with Jewish canon law (Halachah), the religious law should take precedence. A solid majority of them want gender segregation on e.g. public buses. Meanwhile, some 20 percent of Israel is Palestinian-Israelis, whose proportion may well increase over time, to nearly a third. (This is not to mention the 4.5 million Palestinians who have been living under Israeli military administration for over half the history of the Israeli state). Some 79% of Palestinian-Israelis say that their minority faces substantial prejudice. Three quarters of Israelis deny any such prejudice. The Israeli Jewish denial comes about in part from sheer ignorance of their fellow citizens. There is almost no social interaction (friendships, marriage etc.) between Israel’s major religious communities. One thing increasing percentages of Jewish and Palestinian Israelis agree on? That a two-state solution to the conflict between Israel and Palestine is now unlikely.